CAN NEW SHERATON BE ‘GAME-CHANGING PROJECT’ FOR GEORGETOWN? 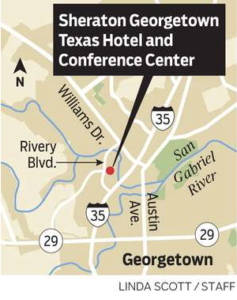 Austin, Texas – A new luxury hotel in Georgetown is expected to help lure more conventions – a lucrative sector of the travel industry that officials say has largely bypassed the city in recent years. 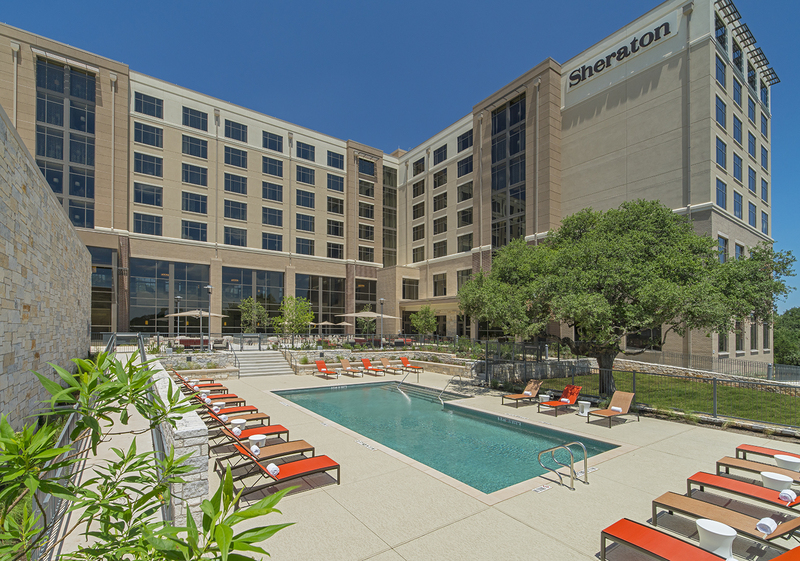 The 222-room Sheraton Georgetown Texas Hotel & Conference Center, at 1101 Woodlawn Ave., welcomed its first guests July 28, giving the city 30,000 square feet of meeting space – including a 16,000-square-foot ballroom – to accommodate business travelers. Two developers – Hines and Novak Brothers – teamed up to make the project a reality. 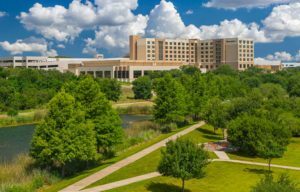 Previously, Georgetown didn’t have much in the way of higher-end lodging options, Novak Brothers founder and CEO Jeff Novak said, prompting companies to hold their functions in nearby communities, such as Austin and Round Rock. The city’s other hotel options include a Hampton Inn & Suites, a Holiday Inn Express & Suites and a Best Western Plus, among others. Aside from the meeting and event space, the Sheraton’s other amenities include a heated outdoor pool and fitness center. The Georgetown Convention and Visitors Bureau plans to step up its marketing efforts now that the Sheraton is up and running, tourism manager Cari Miller said. The hotel is part of a larger development, called The Summit at Rivery Park, that will include residential, retail and entertainment components. Georgetown Mayor Dale Ross calls it a “game-changing project” for the city. “This project is positioned for the highest level of success,” he said. In its first week of operation, Sheraton general manager Rita Healy said the hotel is already being embraced by tourists, as well as area residents eager to check out its food and drink options: Jack’s Lounge and Brix and Ale. Brix and Ale serves breakfast, lunch and dinner, while Jack’s Lounge features an assortment of wines and craft cocktails. So smooth, in fact, that Novak says he’d like to open similar hotels elsewhere.